A truly wonderful print to remember the happy couples first dance. 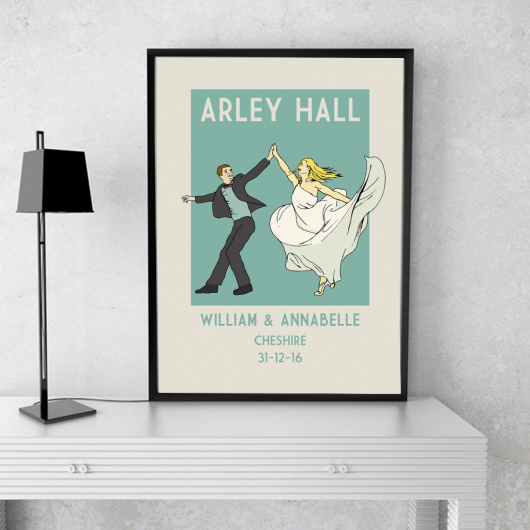 This graceful Wedding A4 Vintage Print is the most wonderful and quirky gift for any newlyweds. 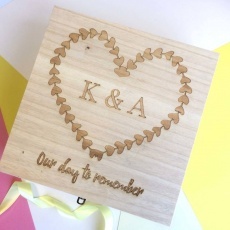 This beautiful gift can be fully personalised, right down to the bride and groom’s hair! 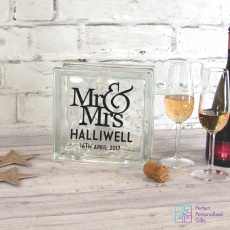 Personalise with the couple’s names, date of the wedding and the place and location of the wedding. 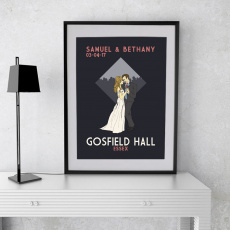 Change the background colour and the hair colour of the man and woman to fit your bride and groom. 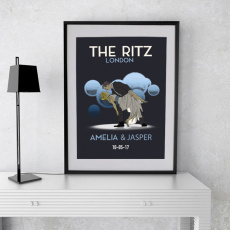 The A4 print comes as standard unframed, but you can choose the option of a white of black frame to accompany your gorgeous gift.